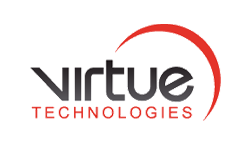 Virtue Technologies work in partnership with their customers, aiming towards a common goal of improving teaching and learning, ultimately supporting a school towards its ICT vision. They do this by providing a customised and local service that is both flexible and innovative. They have a strong track record of helping schools and have many reference sites enabling them to obtain both the Department for Education ICT and Crescent Purchasing Consortium Framework accreditations. Virtue Technologies were looking for a telemarketing company that could offer them a bespoke service rather than an off the shelf all fits all model. They sent us an initial enquiry along with several other telemarketing companies. We responded by return and offered a short call so that we could understand their business proposition and requirements and then submitted a proposal for review. They needed us to conduct a campaign calling into the education sector and generate meetings and leads for their account managers to present the solutions they offer around Virtualization, Storage, Servers, Backup, Network infrastructure, managed wireless, support & managed services, cloud based services, high-speed internet & data, audio visual, thin-client and vdi, software licensing. VSL embarked on a 10 day Pilot campaign that targeted schools and colleges focusing on the North West of the UK which is where Virtue Technologies are based. The initial campaign was targeting schools and colleges that needed help with virtualisation in order to save money on consolidating servers. The 10 day pilot was a huge success, generating 12 leads and a pipeline of 17 Warm leads to follow up. The campaign continued for a further 2 months and continued to generate leads at a rapid rate. Owing to the success of the campaign VSL held back on the calling to allow the team to follow up on the leads – there were simply too many for them to deal with at the rate they were being generated, another example of the flexibility and scalability of out-sourcing.